All India Majlis-e-Ittehadul Muslimeen (AIMIM) president Asaduddin Owaisi on 23 December said that both the Congress and the Bharatiya Janata Party (BJP) deliberately avoided talking about Muslim empowerment and their representation in the election campaign for the Gujarat Assembly election. "Both national parties, in no way, tried to give a message that they are interested in getting Muslim votes (in Gujarat). They deliberately avoided talking about Muslim empowerment and Muslim representation, and the proof is that BJP did not give a single ticket to a Muslim. Congress gave six tickets and only three are now elected," Owaisi said at a press conference here. "They might win elections like this but our democracy will lose," he added. Owaisi also said that the numerous temple visits taken by the leaders of both parties were also part of their deliberate political marginalisation of Muslims. "The temple-hopping which we have seen in the Gujarat election campaign was nothing but deliberate political marginalisation of Muslims of Gujarat which is not good for our democracy and polity in the long term," Owaisi said. This, Owaisi said, was against the ideals of a participative form of democracy. "Our forefathers wanted a participative form of democracy wherein each and every section of the society would be represented whether it's assembly or parliament or any election. That is not happening," he said. 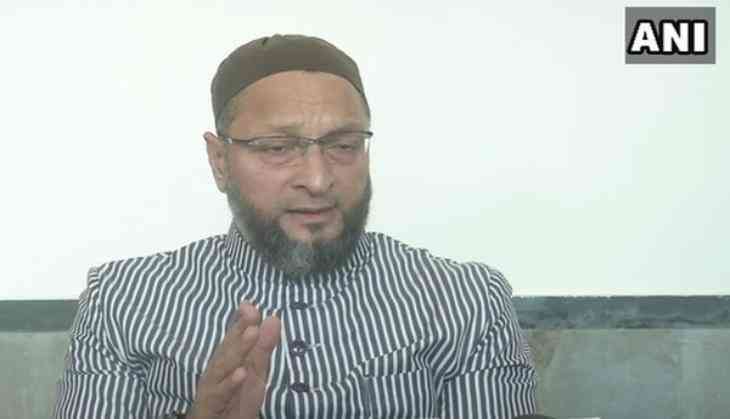 Accusing the parties of using religion as a vote-bank, Owaisi, earlier in the day, said that he too will go to mosques and dargahs and wear the green flag. "A precedent has been made now. One cannot stop me from doing so, given that they are also using religion as vote bank," Owaisi said, referring to his earlier statement. He added, "Arun Jaitley rightly said that BJP is an original Hindu party and they will not accept a duplicate. If such talks are taking place, then no one should object when there are similar talks from the other side tomorrow." During the election campaign for Gujarat, Prime minister Narendra Modi, senior BJP leaders like Amit Shah as well as Congress President Rahul Gandhi made visits to numerous temples. The AIMIM chief also informed that the Executive Committee of All India Muslim Personal Law Board (AIMPLB) will be meeting tomorrow in Lucknow to discuss the Triple Talak Bill that has been presented in the parliament.